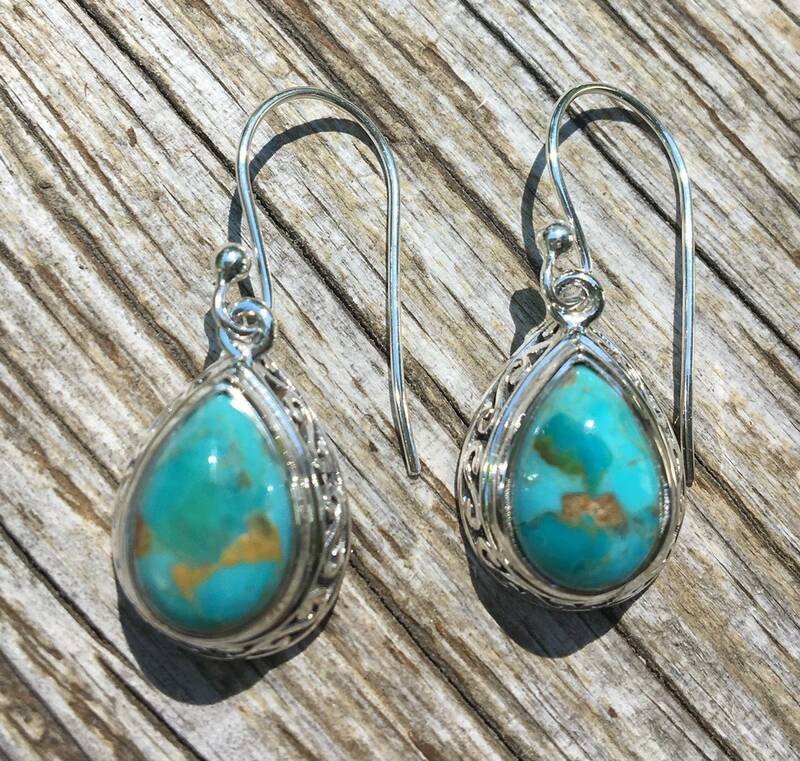 These sterling silver earrings have bright blue turquoise gems. 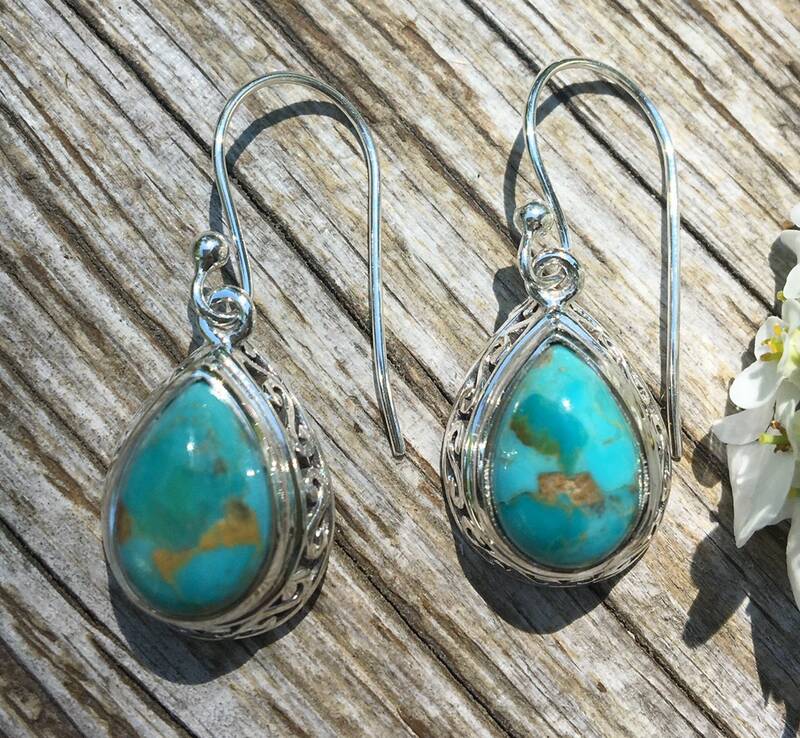 Each gem is surrounded by filigree styled sterling silver. 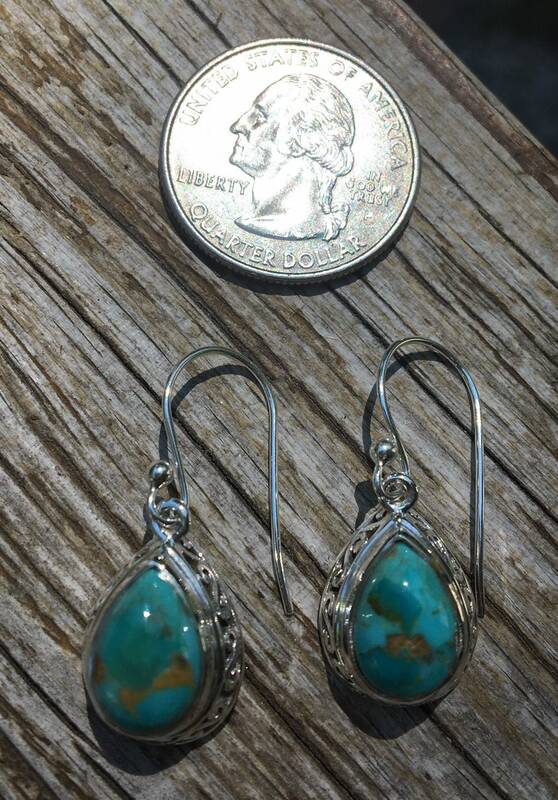 These earrings measure 1 5/16" long including the earring wire. Lever backs are available if you prefer them over the traditional earring wires.